In February 1942, in the wake of the Japanese attack on Pearl Harbor, President Franklin Roosevelt signed Executive Order 9066 authorizing the U.S. government to forcibly remove the entire Japanese-American population of the west coast. 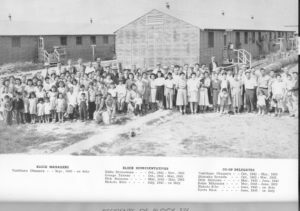 Within months 110,000 men, women and children were moved to concentration camps in the interior of the country, including Idaho the state I called home for more than 40 years. History records this unconstitutional treatment of thousands of people, the vast majority of them American citizens, as one of the worst violations of civil liberties in our history. Now, history repeats with a new dark chapter. Seventy-five year after Roosevelt’s grievous violation of civil liberties another American president is using an un-American standard – religion – to discriminate and persecute American citizens, foreign citizens legally in the United States and desperate refugees, primarily women and children, seeking to flee mayhem in Syria and elsewhere. 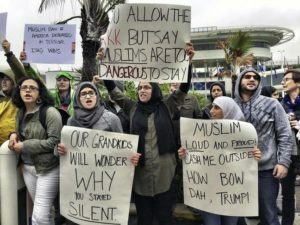 As with the events of 1942, Donald Trump’s recent sweeping Executive Order is driven by fear, misinformation about threats to national security and apparently by a misguided belief that all Muslims, even those who have put their own lives at risk to add American military efforts in the Middle East, present a danger. So far the response of Idaho elected officials to the arguably unconstitutional Executive Order has been faint-hearted acquiesce. This capitulation to fear and bigotry, particularly given Idaho’s troubled history of racial and religious discrimination, including battles against the Aryan Nations and anti-Mormon bigotry, deserves the strongest possible condemnation. This is an Idaho fight. Racial and religious intolerance has been stoked recently in south central Idaho by the alt-right website Breitbart, not coincidentally the same region where thousands of Japanese-Americans were incarcerated 75 years ago. 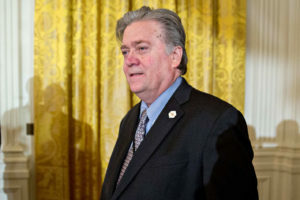 Major political leaders have been silent, while Breitbart’s former CEO, Stephen Bannon, becomes the top political strategist to the president with a seat on the National Security Council. Breitbart’s immigration policy is now America’s. In the life of every politician there comes a moment when moral reality presents a stark choice between principle and party, between what is momentarily popular and what is consistent with American values. This is such a moment and the timid, spineless response from Idaho leaders is truly reprehensible. If you oppose the president’s action as an un-American, unconstitutional religious test targeting one vulnerable group then adopt the all-American response – oppose it, loudly and consistently. And a footnote: Franklin Roosevelt’s infamous Executive Order 9066 never mentioned Japanese-Americans, but the order was clearly directed at that population. The Trump Administration says its order is “not a Muslim ban.” History does repeat. It says something about the state of American politics that the quarterback for the Green Bay Packers makes more sense on the issue of moment than most of the people seeking to become president of the United States. When players for the Packers and the Detroit Lions lined up last Sunday to observe a moment of silence in recognition of the horrible events in Paris some nitwit in the crowd yelled out a slur against Muslims. Rodgers heard it, as did most everyone else. The Packers proceeded to lose a close game to the Lions, but when Rodgers met reporters after the game the derogatory comment was clearly still bothering him. “I must admit I was very disappointed with whoever the fan was that made a comment that was very inappropriate during the moment of silence,” Rodgers said. Meanwhile, that old charmer who continues to lead the Republican field in all the polls suggested we might need to shut down the nation’s mosques, while we round up every Syrian in the country and deport them. No kidding. You can look it up. Donald Trump also compared Syrian refuges to the Trojan Horse, which may just be about a perfect analogy for what his candidacy means to the modern Republican Party. Christie: Not even a five year old orphan. I’m guessing Jindal in his zeal to protect his people missed recent stories about extremist protests in, well, the Punjab region of northern India. One governor’s violent extremist is another’s dangerous Syrian, I suppose. Ted Cruz, born in Canada of Cuban parents, wants to allow only Christians in the country. Ben Carson says we should do everything possible to help out the huddled masses yearning to be free; everything but let any of them into the United States. Marco Rubio agrees because the government is so incompetent it cannot do an adequate background check. I could go on, but Aaron Rodgers has already said much of what needs to be said. Shame he is just trying to get to the playoffs and not to the White House. Another difficult thing for politicians is nuance, subtlety and complexity. The Paris attacks, the downing of the Russian airliner and all the rest provide enormous cause for concern and caution. The modern world may well be continuing down a long, dark corridor of uncertainty as the twilight struggle against fundamental evil goes forward. But this nuanced, subtle and complex struggle will not be won on the basis of who gins up the most outrageous sound bite or issues the most bombastic executive order. In fact, the vapid and short sighted response from Americans who should know better may actually play directly into the hands of those who would do us harm. This is precisely what Syrian and other refugees are fleeing. World Vision, the widely respected NGO that advocates worldwide for children, estimates that 12 million Syrians have fled their homes in the midst of the continuing civil war. Half of these refugees are children; children who have, at a minimum, lost opportunities for education and anything approaching a normal life and, at worst, face malnutrition and abuse. My people came to the United States from Wales and Germany, others in my family trace roots to Poland and Luxembourg. Maybe your family came from Norway or Italy, Mexico or Sudan, Russia or Rwanda. Perhaps you know someone who started life in India or Japan or Vietnam or a hundred other places. A big, good hearted nation, even one that finds itself in the middle of a confusing, dangerous, even deadly world, does not lead from fear and it does not insist on simple, tidy answers to complex realities in a part of the world that often remains foreign and unknowable to westerners. One of the best things I have read on the mess that is Syria and Iraq was written by the Washington Post’s David Ignatius and published recently in The Atlantic. We did our part to create this mess and that includes helping create a few million refugees and now it’s time to show that we are better than the jingoistic rhetoric and fear mongering for votes from governors and presidential candidates and those who couldn’t find Aleppo on a map. We are better than that. At least I think we are. It would be easy – even inevitable – given the dysfunctional state of American politics to just say the heck with it – nothing works any longer and nothing much gets done. I’ve been in that funk and may well slip back soon enough, but today I take heart that politics can still work. The United States Senate this week completed action on a piece of legislation to protect more than a quarter million acres of some of the most spectacular landscape on the North American continent as Wilderness – with a capital W. The action, eventually coming as the result of a unanimous consent request in the Senate, follows similar approval in the House of Representatives. President Obama’s signature will come next. For the better part of fifteen years Simpson has, often single-handedly, championed greater environmental protections for the high peaks, lush meadows and gin-clear lakes of the Boulder-White Clouds area in his sprawling Congressional district in eastern Idaho. 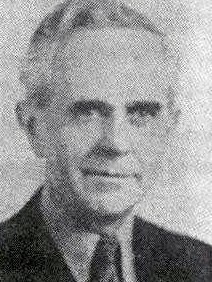 Rather than churn headlines denouncing the environmental movement, Simpson invited them to the table along with ranchers, county commissioners and a host of other interests to find a way to resolve controversies in the Idaho back country that date back decades. None of the parties trusted the others, but Simpson made them reason together with the quiet hard work that is the essence of real politics. Blessed with a fine staff and the instincts of a patient dealmaker, Simpson worked the problem, understood the perspectives of the various interests and pushed, cajoled, humored, debated, smiled, and worked and waited and never gave up. At any number of points along the way a lesser legislator might well have lost patience, gotten discouraged or just said the hell with it, but Simpson never did, even when blindsided by members of his own party who once unceremoniously knifed his legislation after publicly indicating their support. I wasn’t alone in concluding that the political process in Washington and the “Hell No Caucus” in Mike Simpson’s own party would never permit passage of another wilderness bill in Idaho. Over time the discouraged and disgruntled placed what little of their faith remained with President Obama. Obama, who has only gotten grief from Idaho Republicans the last seven years and owes the state nothing except maybe a thank you to a handful of Democrats who give him a 2008 caucus victory over Hillary Clinton, hinted that he would use “executive action” to declare the Boulder-White Clouds a National Monument. That potential provided the grease needed to lubricate Simpson’s legislative handiwork and the stalemate was broken. There is an old maxim that dictates that you can keep your opponents off balance and disadvantaged in politics by displaying just enough unpredictability – even recklessness – that they think you just might be crazy enough to do what they most fear. Idaho Republicans, who had mostly not lifted a finger to help Mike Simpson over the years, came to believe that Obama just might be crazy enough to stick his proclamation pen in their faces and create a monument twice the size of the wilderness Simpson’s proposed. Make no mistake, whatever they might say now, the determined congressman would not have received the support he ultimately did from other Idaho Republicans had they not feared – really feared – action by the president that would have created an Idaho national monument. It also didn’t hurt that Simpson and conservation-minded Idahoans in both political parties demonstrated broad public support for action on the Boulder-White Clouds. While it is tempting to gloat about the late comers to the grand cause of environmental protection finally having to cave, it is more important to remember that political victory always has a thousand fathers and mothers. This is a moment to celebrate. Mike Simpson deserves – really deserves – to savor what will be a big part of his political legacy. Idaho conservationists, particularly the Idaho Conservation League and its leadership, deserve to celebrate the role that Idaho’s oldest conservation organization played in creating what some of us thought we would never see again – a wilderness bill in Idaho. There must be praise for visionaries who came before, particularly including former Governor Cecil D. Andrus who campaigned against an open pit mine in the area in 1970 and later attempted to do what has now been done. The late Idaho Senators Frank Church and Jim McClure deserve a big acknowledgement. Both knew the value of protecting the area and never flagged in their determination to see it accomplished. Countless other Idaho hikers, hunters, fishermen and outdoor recreationists played their indispensable roles as well. Best of all, unborn generations of Americans will now have a chance to experience one the most remarkable, pristine, and beautiful areas in the entire country, if not the world. American wilderness is landscape and habitat and majesty and solitude, but it is also a state of mind. Knowing we have conserved something so special and so valuable not just for ourselves, but also for the future is truly a priceless gift. On this one occasion and after decades of work, the good that politics can do reigns supreme. A piece of heaven right here on earth has been saved and we are all the richer for it.